Tertiary institutions need to produce quality in numbers and not quantity of numbers, says Rosy Akbar. While officiating at the contract signing of a four-storey building at the Fiji National University (FNU) Nasinu Campus, the Minister for Education, Heritage and Arts highlighted that Education was not about a game of numbers. She said it was about producing quality and producing for the needs of the industries. Ms Akbar also said the new project was a clear indication and evidence of the ongoing development of FNU since its establishment. 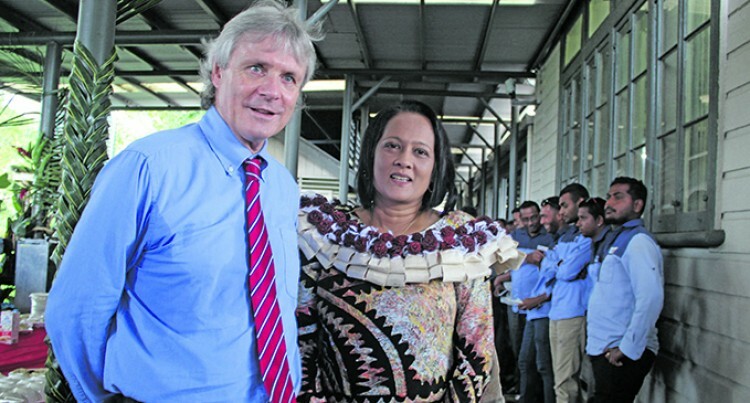 She called it a testament of Government’s commitment to providing quality education for all Fijians. The four-storey complex of the College of Business, Hospitality and Tourism studies will consist of 14 classrooms, with a 354 student capacity lecture theatre which would provide the students with a modern learning environment. Ms Akbar said the building would provide students with state-of-the-art facilities and access to modern technologies. “Our young minds must be given the same opportunities for access to information as their counterparts around the world and keeping this in mind, the building will be equipped with modern ICT facilities and will have access to free high-speed wifi for online learning. This is supported by Government’s Walesi free wifi hotspot initiative,” she said. This building would also cater for students with special needs and also consists of a student hub which would provide centralised student academic support, enabling easier access to student information and enrollment procedures. FNU Vice Chancellor Nigel Healey said the project marked a new phase of the University’s development in which they would be demolishing old wooden buildings that have reached the end of its economic life. “With the generous support from the Fijian Government, FNU currently has an annual capital investment programme of $50m. This means over the next 10 years, we plan to spend $500m to $0.5bn transforming our campuses into modern, digitally connected social learning space. Work in a new creative arts centre to replace the Raiwai campus that was damaged in Tropical Cyclone Winston. A building with television and radio station, a theatre for the performing arts and spaces for fine arts and design which would provide a cultural heart to the campus and reach out to the community to provide affordable theatre and music and film. An administration building and hospitality hub with training kitchens and restaurants to prepare the chefs of the future. Also present at this ceremony was the Turaga Na Tui Kalabu, Ratu Paula Maiwiriwiri. The high chief was accorded a traditional sevusevu led by the staff of the university seeking his blessing prior to the commencement of the construction work.